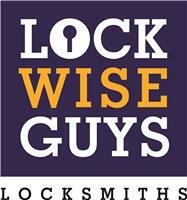 Lock Wise Guys - Locksmith based in Bishop's Stortford, Hertfordshire. Lock Wise Guys - An established family run local locksmith business, with a great reputation, based in Bishop Stortford. We offer an emergency NO call out charge, 24/7 service giving you reassurance help is at hand. We offer a fixed price over the phone on most situations for your piece of mind. We always strive to be with you within 30 minutes to deal with ANY lock problem. We cover a large radius around Bishops Stortford covering Dunmow, Harlow, Chelmsford, Saffron Walden, Hertford, Stevenage inclusive of postcodes CM, CO, IG, SG, EN. We deal with all domestic and commercial situations plus most auto lockouts. Lock outs, All keys lost, Broken keys, jammed shut UPVC doors, window lock repairs & upgrades, upgrading to high security locks, fitting new additional locks, lock change for landlords or new owners, etc..